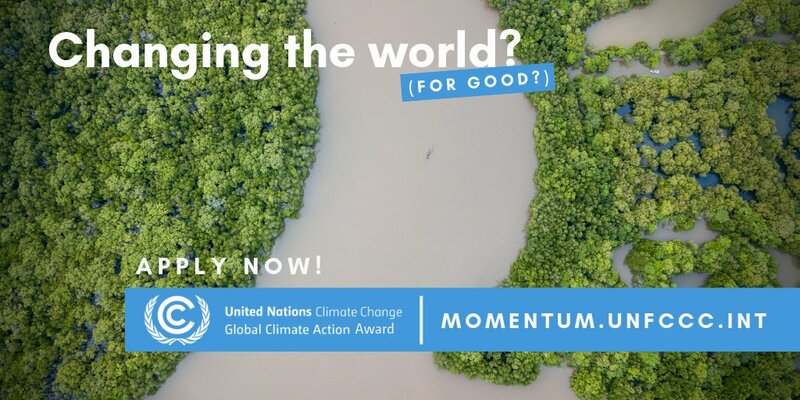 Applications are open for the United Nations Global Climate Action awards. Spearheaded by UN Climate Change’s Momentum for Change initiative, the UN Global Climate Action Award shines a light on the most innovative, scalable and replicable examples of what people around the world are doing to tackle climate change. Momentum for Change is an initiative of the UN Climate Change secretariat (UNFCCC) shining a light on climate action. *Winning projects under the Financing for Climate Friendly Investment category will need to be self-funded to the conference and provide their own video and photo materials. Organizations, communities, cities, businesses, universities, governments and others that are taking concrete action on climate change can apply to have their projects recognized by the UN Climate Change secretariat as a 2019 Lighthouse Activity. If your institution has successfully implemented a project, initiative, program or other activity that addresses climate change mitigation or adaptation while focusing on one of the four areas outlined below, they would like to hear about it. Climate Neutral Now, recognizing efforts by individuals, companies and governments that are achieving real results in transitioning to climate neutrality. If you are leading a results-driven project that is successfully addressing climate change, they want to hear from you! For more information, visit Momentum for Change.